I don't know about you, but I got tired of chasing down all the different remotes we have around here, especially now that the kids have taken to hiding them. I know that there is such a thing as a "universal remote," in fact, I have two of them, but since our DVD player is too old to make the roster for universal remotes, and since only the on/off feature of our auxiliary sound system works with the universal remote, the devices haven't exactly had the unifying effect the literature promised. The only constant I've found with any of these remotes is that none of them work when my kids have taken them upstairs or outside during a game of "ray gun." They also don't work when I have hidden them to prevent their being taken upstairs or outside during a game of "ray gun" and forgotten where I put them. If all of this sounds frustrating, it is. In the extreme. Luckily, necessity is the mother of invention, and so I recently came up with a product that I call The Connolly True Universal Remote. This simple device is easy to install, works with any existing devices and has the added benefit of being nearly impossible to misplace or break. I am currently drawing up a marketing plan to sell this fantastic and much-needed device, but I thought I'd offer you, my readers, an early opportunity to invest. If you'd like to buy shares in Connolly True Universal Inc., a subsidiary of Calm Audison Publications, please email me at chrisconnollyonline@yahoo.com and let me know how many shares you're looking to acquire. And now it is my great pleasure to present The Connolly True Universal Remote! Step Two: Assemble all your existing remotes. 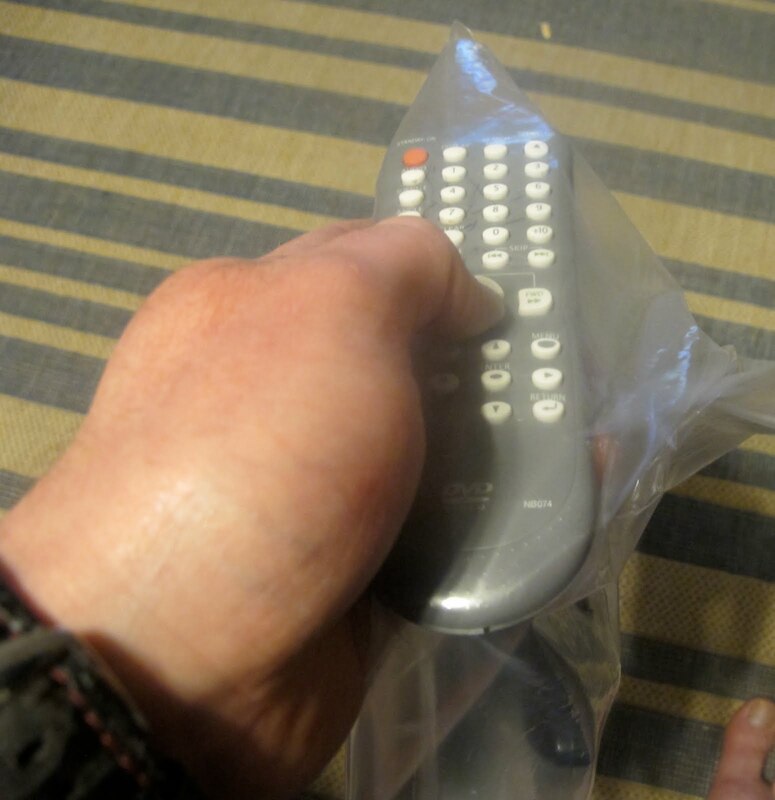 Step Three: Install existing remotes into CTUR. The CTUR is certified 100% compatible with all remote makes and models. Step Four: Seal CTUR to sync remotes and finalize installation. Step Five: Cycle through the various functions of your CTUR to make sure everything works. 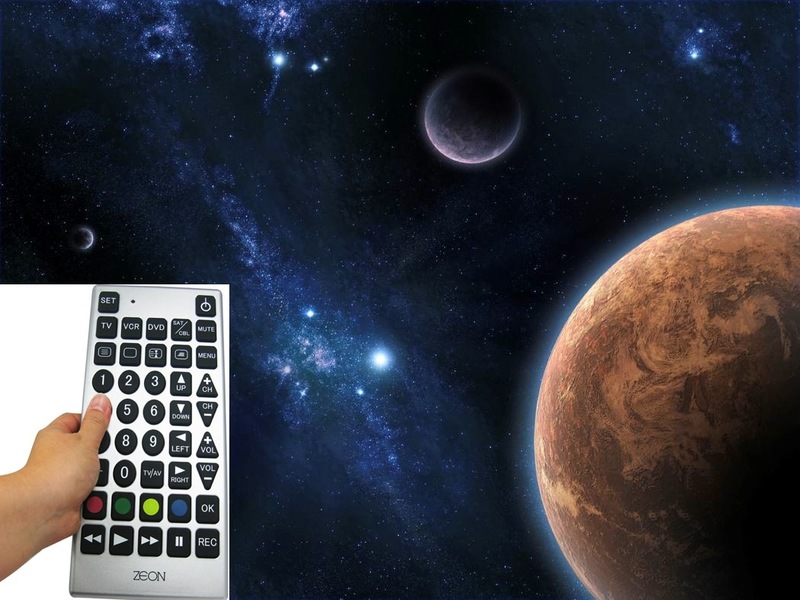 Upgrades: If you are pleased with your Connolly True Universal Remote you may want to consider some of our other fine entertainment enhancement products. The Sport Scroll Eliminator: If you find that the endless scrolling of sport news minutia along the bottom of your screen distracts you from the event you actually want to watch, try our one-size-fits all Sport Scroll Eliminator. This highly-customizable, user-friendly device can be adjusted to block all the info you don't need, from the crawl to the box score to the network logo down in corner. You'll feel like you're watching a broadcast from the past! Get your Connolly Entertainment Enhancement Products today!